Some have said that the birth of Jesus is the most amazing birth story ever told. Jesus birth narrative heralded the arrival of a child who was praised as the Son of God, the Saviour of the World who was said to be the personification of peace on earth; God incarnate; fully divine and fully human. Not everyone agrees that this is the most amazing birth story ever told. Indeed, the story of Jesus birth can’t even claim to be unique. Some claim that Jesus’ birth story is just one of a long line of birth stories. Jesus’ birth story, some claim, is only considered to be unique because it’s our story; a story we tell over and over at the expense of other birth stories that are just as great. Well it’s really not all that difficult to Google “greatest birth story ever told”, select one or two of the greats and put them together to expose Jesus’ birth story as one in a line of ancient birth stories. Allow me to demonstrate. the greatest story every told. 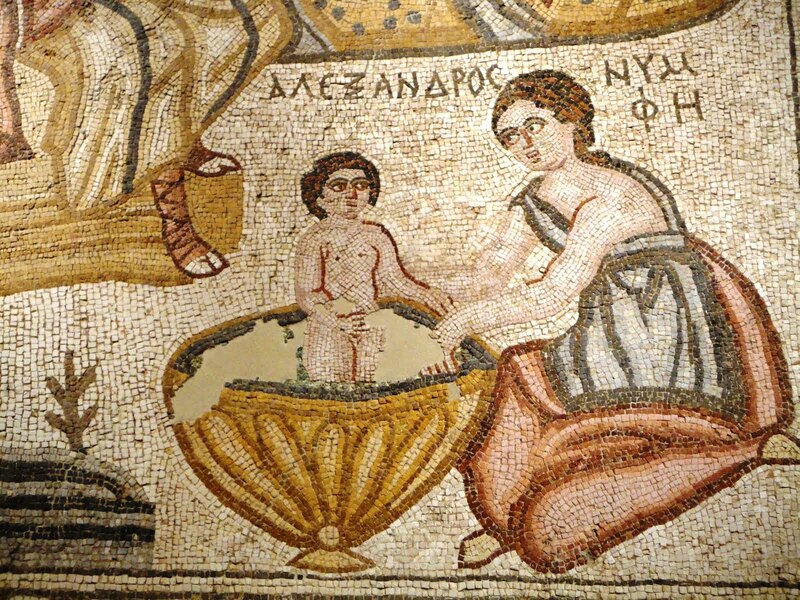 Alexander the Great’s birth story is truly one of the greats. He was, after all the, son of a Queen and a god and a king. His mother, Olympias was a Queen, betrothed to Philip of Macedonia. The night before they were married, Queen Olympias dreamed that a thunderbolt fell upon her body, which kindled a great fire, whose divided flames dispersed themselves all around her, and then as if by magic they were extinguished. Philip dreamed that he sealed up his Queen’s lady parts with a seal, which bore the impression of a lion. The high priests who interpreted the dream warned Philip not to even entertain the idea of consummating the marriage because one wouldn’t go to the trouble of sealing up something that was empty. So Queen Olympias must already be with child, who would undoubtedly be a boy with the courage of a lion. If that wasn’t enough to put Philip off he found a serpent lying beside Queen Olympias as se slept, which was said to have abated his passion. Later the oracle of Apollo at Delphi went on to explain that this was no ordinary serpent, no this was the incarnation of the God Zeus. The day that Alexander the Great was born, one of the Seven Wonders of the World burnt to the ground. The temple of the goddess Artemis in Ephesus was the home of the Goddess Artemis who was said to have been attending to the birth of Alexander at the time. Alexander the Great was heralded as the Son of God and Saviour of the World and as one of the greatest warriors the world has ever known, he went on to conquer a good portion of the planet. since passed. The Empire of Rome had replaced the Greeks as rulers of the world and they had the conquered lands to prove it. Julius Caesar had established an Empire the likes of which the world had never seen before. Gaius Julius’ prowess on the battlefield was matched only by his cunning in the senate and together had one him the title of Caesar. But as great and marvelous a leader as Julius Caesar may have been, history tells us that he and his wife were not blessed with children. Alas, Caesar did have a son by virtue of his dalliance with Cleopatra but that’s another story all together; suffice it to say, that that little fellow didn’t stand a chance against the one Julius would appoint as his heir. Born to Julius Caesar’s niece, little Octavian was eventually adopted as his great-uncle’s heir apparent who eventually amassed powers that far outshone his illustrious uncle’s. It is Octavian’s birth that the Ancient Romans claimed was the most amazing birth story ever told. This birth narrative heralded the arrival of a child who was praised as the Son of God, the Saviour of the World who was said to be the personification of peace on earth; God incarnate; fully divine and fully human. Octavian went down in history by his nick-name, or should I say by his imperial name, for as the first Emperor of Rome, Octavian became know as Augustus Caesar and it is his birth narrative that was the greatest birth story ever told. Not since Alexander the Great had any birth story even come close to Augustus Caesar. Augustus is Latin, for “one who should be praised or worshiped.” Caesar means Emperor. The legends surrounding this praiseworthy emperor are truly astounding. Born just 60 odd years before the birth of Jesus, it is said that Augustus was a son of god twice over. For not only was he the adopted son of Julius Caesar who was by virtue of being the ruler of Rome had been deified upon his death; legend has it that his mother had a dalliance with some god or other. It seems that on the on the day he was born his mother had a dream that she was raised up to the sky and her intestines were spread all over the earth. His father also had a dream that the sun rose and set on his dear wife’s womb. Well when the priests were consulted it was decreed that little Octavian must be the progeny of a god. But which god you may ask, well ancient sources a blurry on the subject, some say it was Jupiter himself, others suggest the god Mars. The poet Virgil gives us a pretty clear indication of just who Augustus was in the eyes of his people. 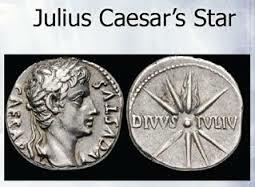 For it seems that on the very night that Augustus Caesar was made Emperor strange star appeared in the sky. When Romans described the appearance of the star in the sky they said, “We saw the son of God, (Julius Caesar) ascending to the right hand of God the father Zeus.” The people believed that this was a sign that Julius Caesar’s spirit was finally able to leave Rome and head off into the heavens, blessing the reign of his great-nephew as he went by displaying a magnificent star in the sky. Writing of Augustus’ actual birth, Virgil’s poem insists that, “Augustus would be a divine king, the one the world had been waiting for, the one who would bring salvation to all the earth, freeing the people from fear and establishing a universal empire of peace.” If the truth be told, Augustus Caesar did live up to his birth legend. After all as Emperor he did establish the Pax Romana and peace was upheld in his empire. He did it by conquering and terrorizing the conquered. It was known as peace through victory. Once you were conquered by the Romans, you had better behave peacefully or they’d publicly execute you so as to set an example to your country folk. It was just as Virgil said: “Caesar is the Son of God. Salvation is to be found in non other save Augustus. Augustus is reigning in the fullness of his glory, the entire empire resounds with the sound of the advent proclamation.” Such an august man/god as this requires a birth narrative that heralds the arrival of the Saviour of the world. Whoever the writer was we do know that he was clever, clever enough to know that any great person worthy of belief or praise must have a birth story the likes of which the world had never heard. So, if a birth story is what it takes for you to know the truth and to believe then let me give you a birth story that is worthy of the one who proclaimed a different kind of peace. You may have your peace through victory, but the Prince of Peace of whom I speak; now there is a Saviour worthy of praise. Son of God, you bet, but were as your Alexanders and Octavians might have been born of noble birth, the kind of Saviour I’m talking about was of the people, born as the apostle Paul declared, “born of a woman”. Not anyone special, her name was Miriam, lord knows there are Miriams everywhere just like her. This Miriam was just a slip of a girl, now more than about 12 or 13 years old. We don’t know how see became pregnant; people talked about her and about Jesus as if there was something dubious about the way in which it happened. But then in the Pax Romana, young girls fell pregnant all the time and Miriam wasn’t from a noble family. But they were righteous enough to find a good man to take her on, even though he knew she was pregnant. It was as if he’d seen it in a dream and so this man, this man let’s call him after that dreamer of old, let’s call him Joseph, it was like he had a dream or something of how things should be. Anyway, no matter what the powers that be through at them, they coped, even if it meant travelling down to Bethlehem the city of the great King David to be registered. So far from the halls of power, so far that it might have been an outbuilding on the edge of the city, amongst the poorest of the poor a child was born. A star, you bet your life there was a star. 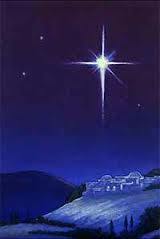 Right up there in the sky above the place were he was born and the star was so big and so bright that the powerful came and bowed down before the baby who would become the hope of the poor. Finally, good news for the poor and the oppressed, the marginalized and the despised, good news for unto you is born in the City of David a Saviour who will be the Prince of Peace, who will bring peace on earth and good will to all. Yeah, here’s a birth story like no other. Here’s a birth story about humble origins, about margins, about poverty, about struggle and oppression, about simple people living their lives as best they can and accomplishing great things. Forget your grand and glorious birth stories. You won’t find the divinity you seek in the halls of power. The divinity you seek, is out there in the muck and mire of the world; in the stuff of life. The peace you hunger for won’t come from the rich and powerful. They are too busy defending their power and holding on to their wealth. The peace you hunger for will only come at the expense of the powerful. The peace you hunger for will only come when everyone has enough. Peace through justice is the only kind of peace that has any power to satisfy or to last. If you are looking for a god worthy of your worship, look not to the powerful, but to the power of god that lives and breathes in you; the divine power that drives your hunger for justice and peace. It was born in you and it lives in you. Who is this one heralded as the Prince of Peace? Jesus of Nazareth, who had a dream of peace he proclaimed as the Reign of God; a reign that would see the rich are sent away empty because they already have enough and the hungry are filled with good things, a reign where justice and not victory was the way to peace, a poor peasant, a radical rabbi, who the powers that be could not abide, so they killed him hoping to put an end to his dream. But the dream will not die. The dream is born in you. The dream lives in you. Let it be said of you that you lived that dream; the dream of the Reign of God a dream where justice leads to peace a dream were love conquers all. Let it be said of you that you, dear Theophilus, dear lovers of God. that you too are a Child of God a Princess of Peace, Mighty Councilor, Emmanuel, God with us. Amen! This entry was posted in Adult Education, Evolutionary Christianity, PONDERING PASTOR, Progressive Theology, SERMONS and tagged Advent 4 sermon, Advent Devotion, Advent reflection, birth of Jesus, Christmas Eve sermon, emergent theology, John Dominic Crossan, Marcus Borg, Progressive Christian sermon Luke 1, progressive christianity, progressive Christmas sermon, spirituality, theology by Rev. Dawn Hutchings. Bookmark the permalink.